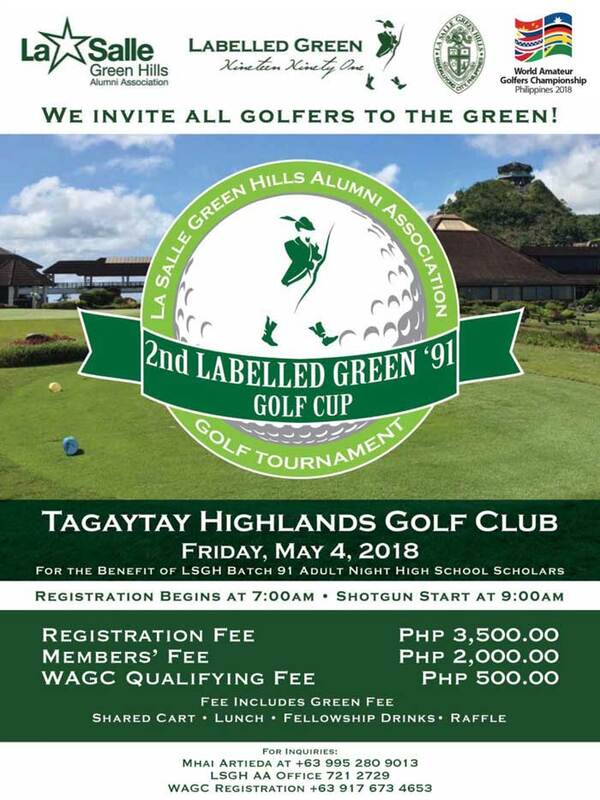 Come join us as we will be hosting the 9th Qualifier of the year in partnership with the 2nd Labelled Green Golf Tournament for the 2018 WAGC Philippines Tour. Beneficiaries for this tour will be the LSGH Batch 91 Adult Night High School Scholars and this event was created to make a difference and raise funds for its charity partners. Tournament Fee: P4,000 inclusive of WAGC Fee, Green Fee, Giveaways, Food and Raffle,.